This entry was posted in Events and tagged Al Azhar Shriners, Calgary Fire Department, calgary police, gratitude, Qualico Communities, simon the safety bear, thanks on September 11, 2016 by aduro. Its time for you to unleash your luminescent and festive creativity in the fine spirit of competition. Yes, it is the Qualico Communities Annual Christmas Light Competition. Click the image for more information, I look forward to seeing the entries! 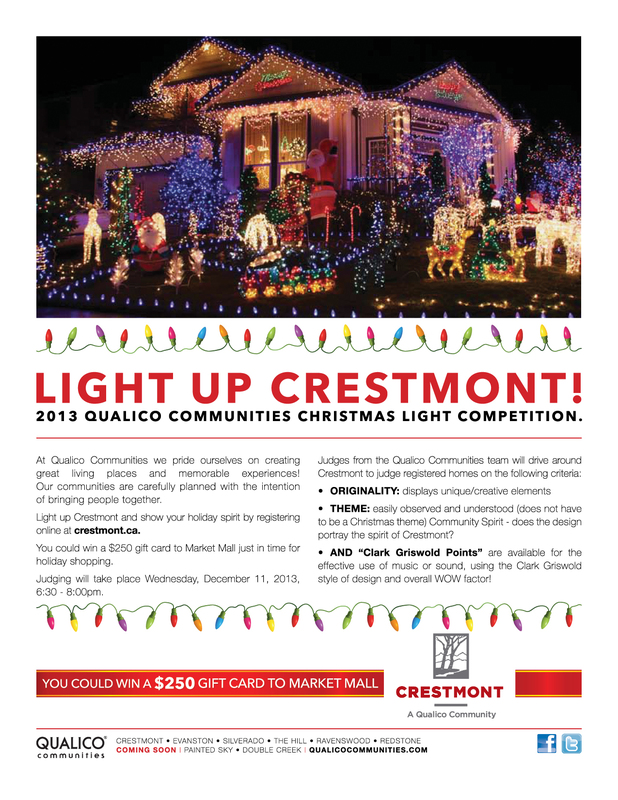 This entry was posted in Events, Interesting Stuff and tagged Christmas, Competition, Contest, Crestmont, Lights, Qualico Communities on November 15, 2013 by aduro.